*** NEW PRICE 4/18***Updates, Open, Spacious, Contemporary floor plan with extensive upgrades throughout. New Roof, Large Flat Child-Safe Backyard on a Cul De Sac, Back Porch Wired For TV Facing East ( Cool and Shady In The Late Summer Afternoons), Man Cave In The Basement (With Wet Bar and Large Projection Screen. Enter the home through a large glass door with sidelights and palladium transom. At current price possible short sale. 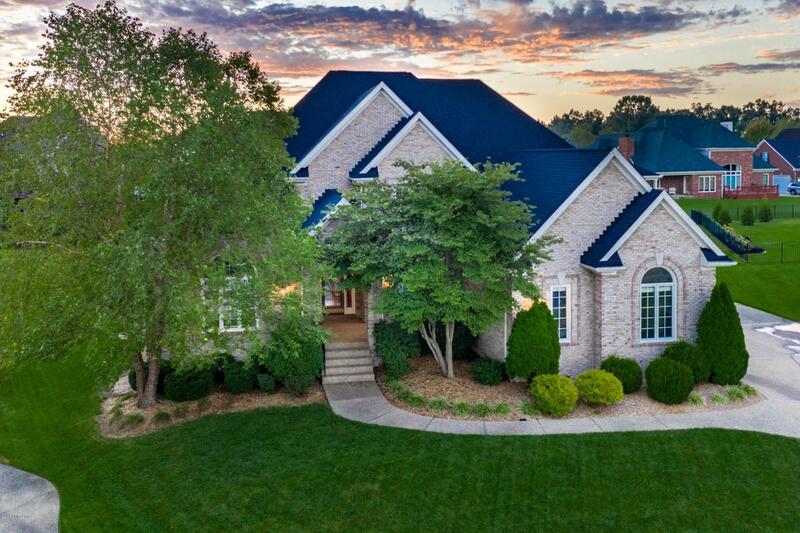 Walk into an open, vaulted 2-story foyer and warm and inviting entryway. The library/living room features a vaulted ceiling & built in bookcases. You'll love the first floor master bedroom suite with enough room for even the largest furniture.shower and private water closet. 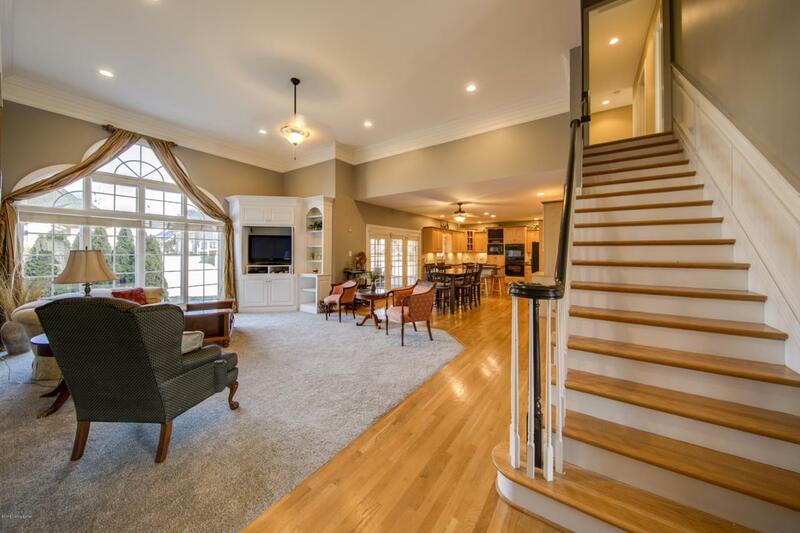 The 2-story vaulted great room with a built-in entertainment center, bookcases and extremely large palladium window. The great room adjoins the gourmet eat-in kitchen which features more more hardwood flooring, lite natural maple cabinetry, black GRANITE countertops, ceramic stone back splash, center ''eat-around'' island, black GE appliances, under cabinet lighting and recessed lights. The cook-top is vented to the outside. There's also plenty of room for a large dining table. Through the 9' French doors walk onto an enormous vaulted covered screened-in porch ( which has just been stained) and is wired for a flat screen TV for outdoor entertaining. 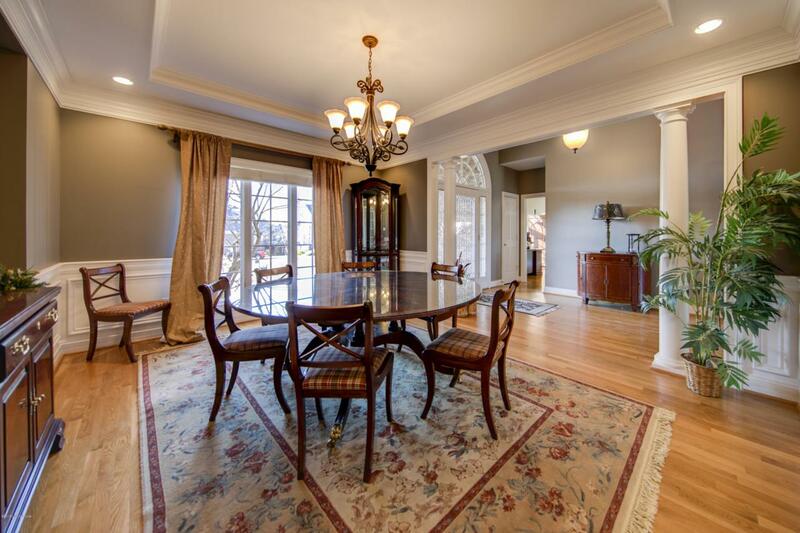 Back inside the formal dining room is accented with columns, 5 piece crown moldings, 2 piece chair mold and wainscot. Upstairs the 2nd floor features 4 large bedrooms one has a private bath, and the others share a bath. Plus a huge bonus room that could be used as a 6th bedroom with a large closet, double casement window with window seat & storage. The finished lower level includes a 30' x 26' recreations/family room with media area and new high def projection TV system (which will stay with house), also here a walk-in wet bar equipped with a dishwasher & microwave, there's a 4th full bath and an exercise area. There's plenty of storage space as well. 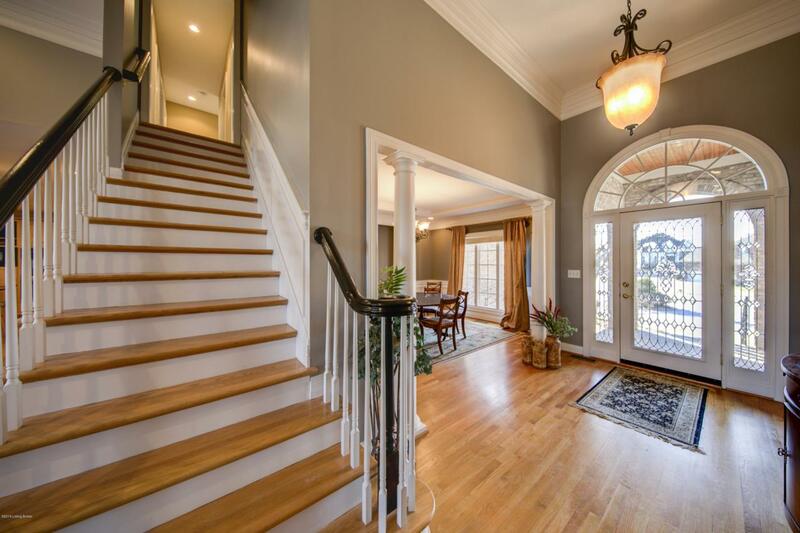 This home also features extensive moldings & trim. The Hot Tub will stay with the home.